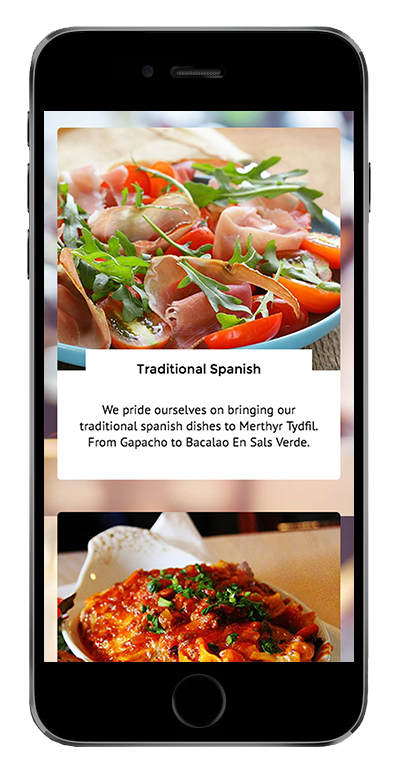 La bodega restaurant based in Merthyr Tydfil were celebrating 25 years in business and to celebrate they wanted to update their website. La Bodega’s old website was built on a free website generator tool and as a result had poor search engine optimisation and was hardly ever getting found online. Our solution was a mobile friendly website, SEO marketing and Social media marketing. The end result was the first page of Google, a 30% increase in overall bookings and 30,000 views on Facebook. 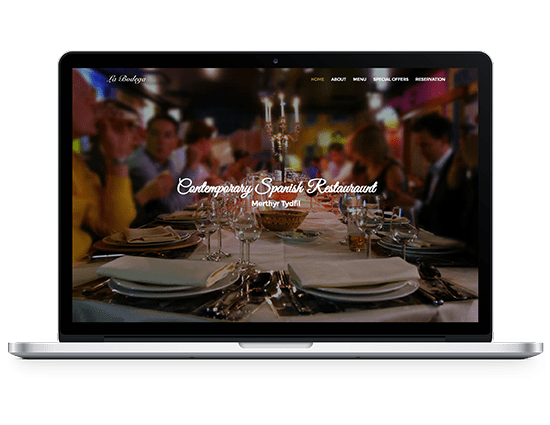 With La Bodega we wanted to create a website that would reflect the spanish roots of the business, while highlighting the amazing food that is cooked there on a daily basis. The new logo that we created along with the colour palette can be seen below. 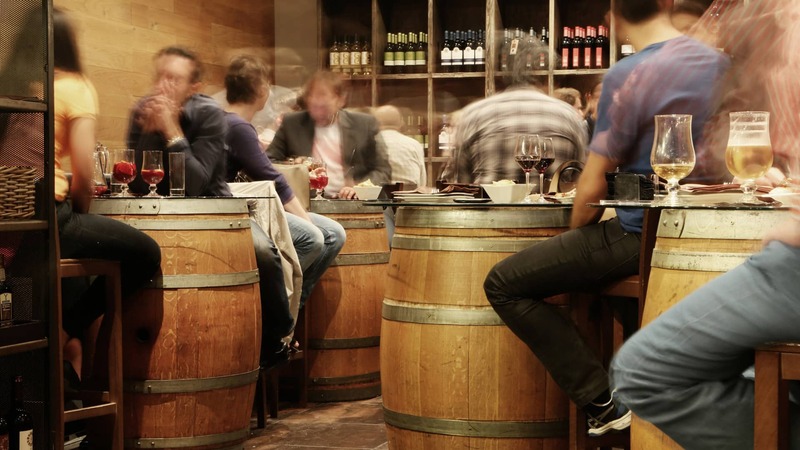 For La Bodega we knew that visuals would play a big part in the overall site. We opted for a full screen image on the index page which would immediately draw potential customers in and get their stomach rumbling before they can hit the make a reservation button. La Bodega’s old website wasn’t mobile friendly and the user experience when browsing the website was terrible. We changed all of that, the new website is user friendly and you are never too far away from being able to make a booking. We took a slow, clunky old website that would almost break when viewed on a mobile device and turned it into a booking generating monster. 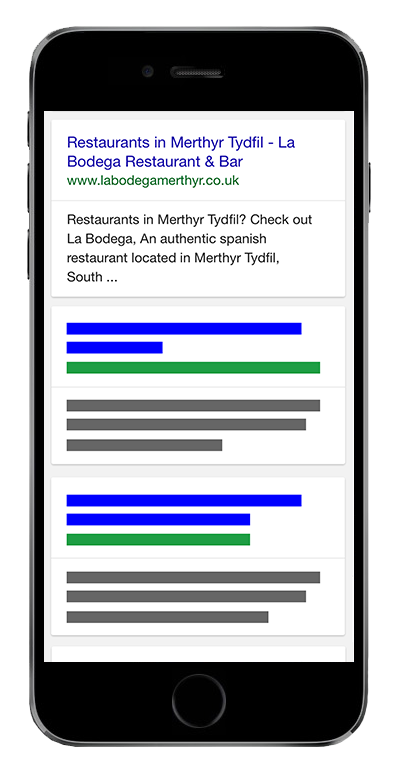 We built La Bodega so it was easy to use by customers and staff alike, even on their mobile devices. La Bodega is now the top ranked independent restaurant in Merthyr Tydfil. We have also helped them build up an email marketing list, build their brand and ultimately get more bums on seats. We helped La Bodega come from not being found on the 6th or 7th page of Google to the very first. Not only were they on the first page but they were the only independant restaurant to be there. La Bodega ranked above huge chains like Nandos, Frankie and Benny’s, Table Table and Harvester. You can see their website below.